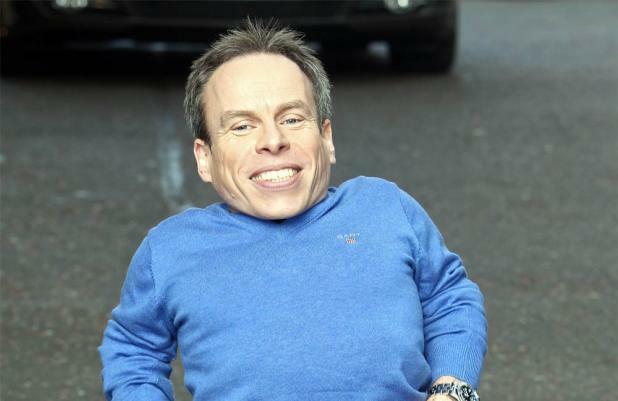 Warwick Davis wants to play a villain in the new 'Star Wars' film. The diminutive actor - who played Ewok, Wicket, in 1983's 'Star Wars Episode VI: Return of the Jedi' and had three small roles in 2001's 'Star Wars Episode I: The Phantom Menace' - would love to star in Disney's upcoming 'Star Wars Episode VII' and plans to "drop hints" to producer Kathleen Kennedy, who is overseeing the much anticipated sci-fi film. He explained: "You have to drop hints. I don't know whose ear to drop them in any more, but I think Kathleen Kennedy's quite a good start. "I'd love to do it and the fact they're filming in England makes it much easier. I just think it would be wonderful to be connected to all three trilogies." Having already played various good-natured characters in the 'Star Wars' universe, the actor is keen to cross over to the dark side in the new trilogy. He told Empire magazine: "A villain would be nice. Some sort of villainous character with a lightsaber. I'd enjoy that." 'Star Wars Episode VII' is set to be directed by J.J. Abrams after original director and creator George Lucas sold the rights to the popular film franchise to Disney last year. The first film in the new trilogy is set for release in 2015.